We’re all limited by time and money, so products that do double-duty are a mom’s dream. The Mini Arc Convertible actually does triple duty, making it even more of a time- and money-saver. You can use this as a co-sleeper, freestanding bassinet, and play yard. Using it as a co-sleeper lets you reach over and draw your baby close for feeding, comforting, and bonding. It’s compact enough to shoe-horn it into your probably already crammed-full bedroom. Be sure to follow the manufacturer’s instructions when using a co-sleeper, or any baby product for that matter. The co-sleeper should fit flush against the parental bed. There must be no more than a 1/2 inch (13 mm) gap between bedside sleeper and adult bed. 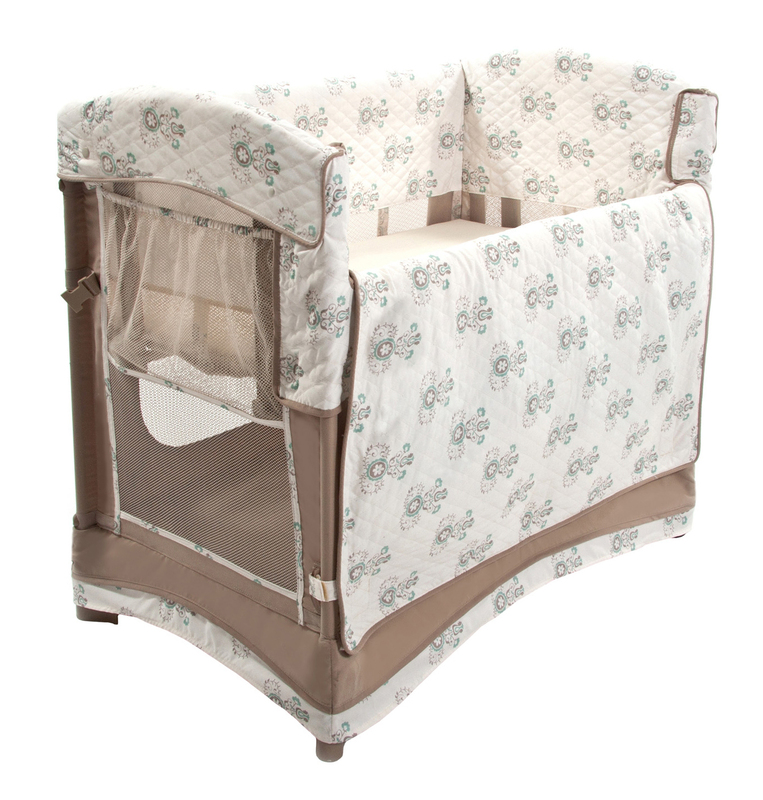 The Mini Arc Convertible comes with a removable fabric liner, mattress, fitted sheet, and travel bag. It folds up so you can take it “to go.” You can buy one at www.ArmsReach.com for around $100.